2005 Yearbook and panoramic photo from Martinez Jr. High School in Contra Costa County California. 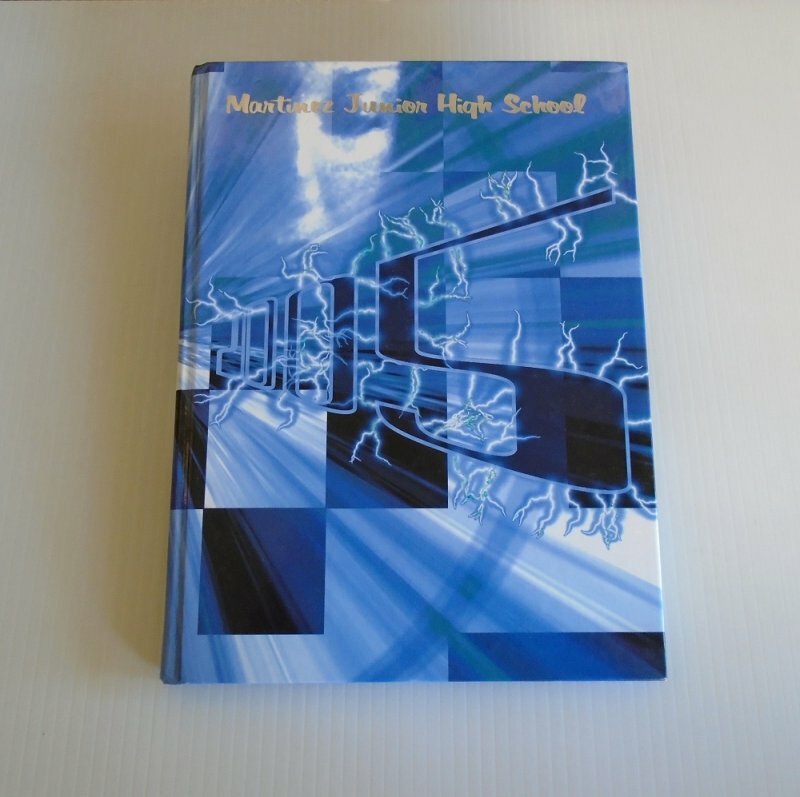 This yearbook is from the 2005 class of Martinez Junior High School located in Contra Costa County California. Also included is a panoramic photo of the students of 2005. The photo measures about 30 inches side to side by 11 inches top to bottom. (More on the photo below). The yearbook was heavily signed. It belonged to someone named Audrey. I do have Audrey's last name but would prefer not to post it in public, so if you'd like to know the last name, just send me a request through the listing and I'll provide that to you. I did not check the book page by page, but flipping through it several times I did not see any tears on the pages nor did I see any cut out pictures. Regarding the photo, when I obtained the book, the photo was pressed inside. What I'm thinking happened is that the photo was rolled, then placed inside the yearbook, and the yearbook was weighed down, causing the photo to have quite a few creases. A few days ago I had to attend to some personal business at a photo frame shop and while there I asked if there is a way to 'iron" wrinkles out of photos. I explained about this photo and was told that most shops can usually press the creases out. He said not all photos are successful, but most are. So, that is a possibility if you'd like to pursue it, but there are no guarantees. 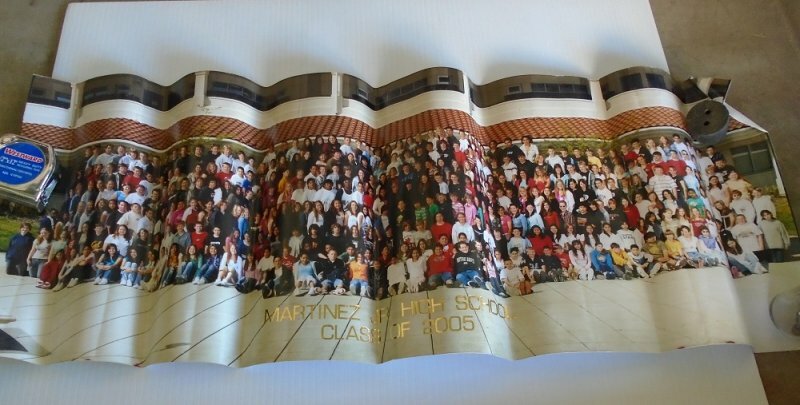 If you're interested, I also have the 2004 Martinez Jr High School yearbook and it also comes with a class photo. This listing is only for the 2005 book. Delivery will be via USPS Priority Flat Rate envelope. Buyer to pay $8.40 delivery costs.